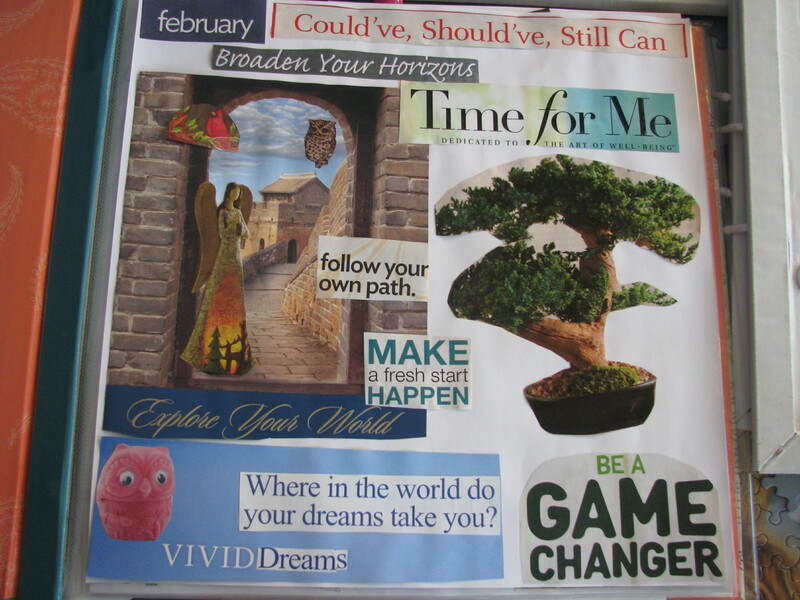 Create your Vision Board or Creation Journal during this fun interactive Workshop. I supply everything except any personal photos you want to add. Get together with like-minded people and have a fun day creating the dreams of your future, be it personal or business. DEPENDING ON ATTENDANCE, I will do mini psychic readings for everyone. I will also have free raffle tickets and one person will receive a 30 minute Psychic Reading from me. If you register through this page 48 hours in advance the introductory price is $65. The price goes up to $85 if you wait. 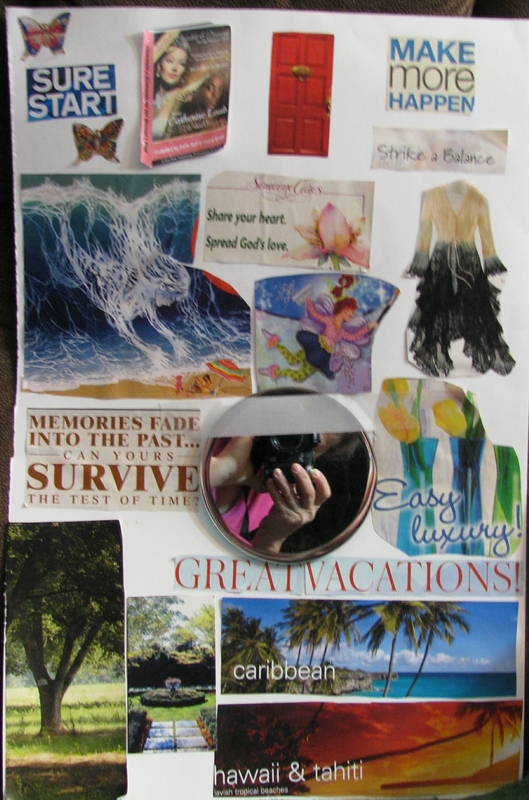 This is my vision board from September 2015. 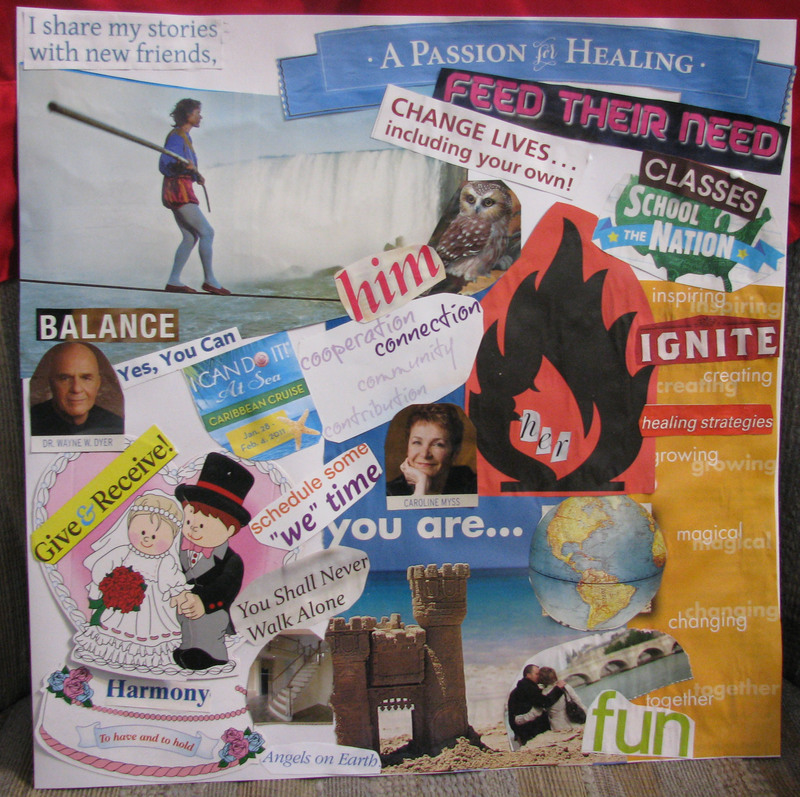 I tell a story across the top: I am getting a sure start with my first collaborative book release opening doors to make more happen and strike a balance. The mermaid represents me as an angel reaching down to help others. I have a mirror in the middle so I can see myself in the vision. Across the bottom shows 2 vacationing spots. Only 2 months later Tony and I were invited to a wedding in Hawaii. We went to it for November 15th and had a wonderful vacation. So, my vision was created almost immediately. You can do the same with your visions. 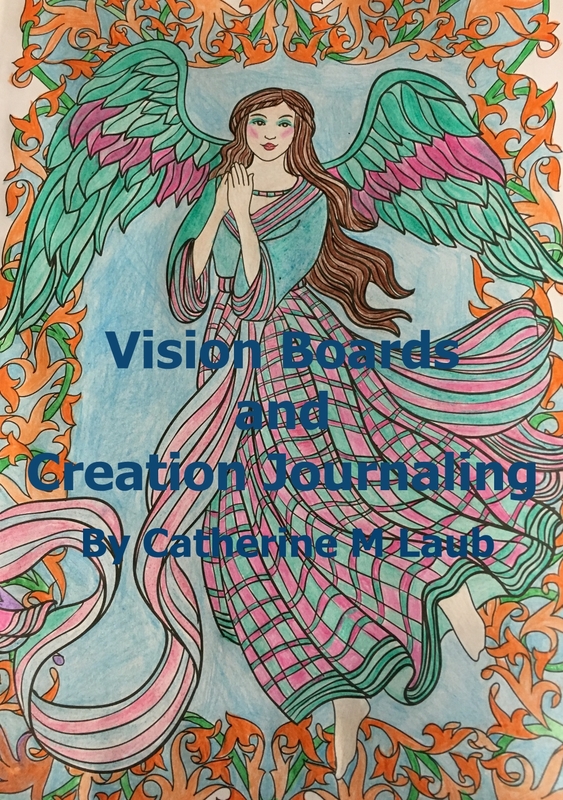 Join me for a day of fun and creating your visions on paper. The following 2 continue on my journey for the year. I have to take many deep breaths to get centered and focus. My new journey is beginning and I am being called into action by my guides. 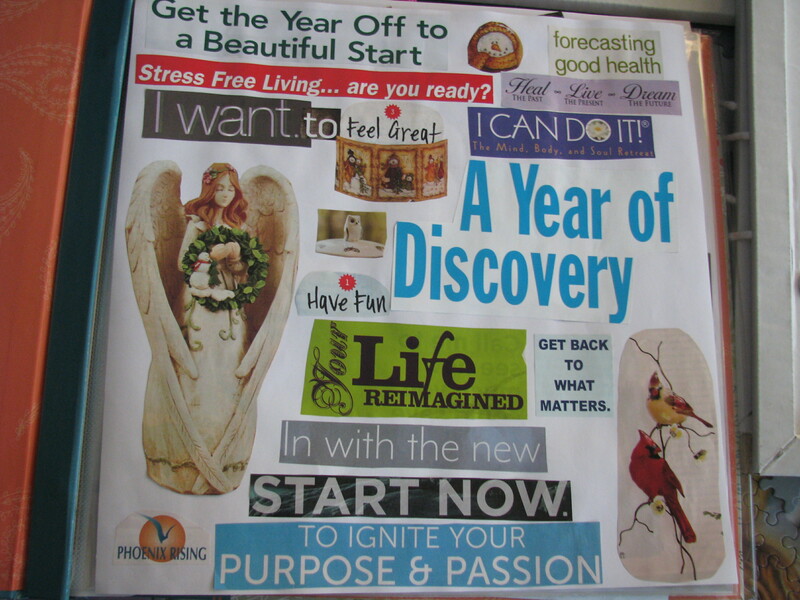 I am getting charged up to be transformed into a strong, confident person and am gaining momentum for the journey. 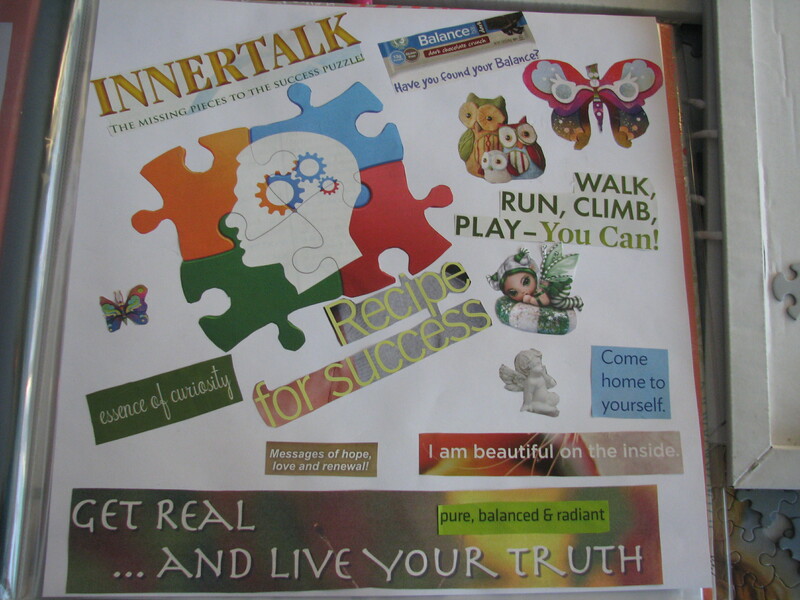 I am laying the foundation work and rebuilding my castle (my mind and body) to be a haven for others to learn from. 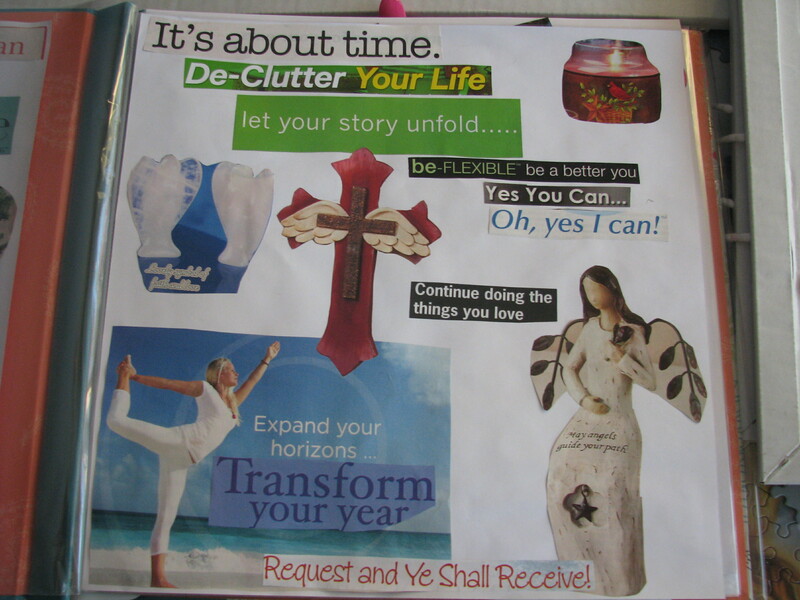 In order to do all this I have to de-clutter my home and mind. I have way too much stuff and it just sits in boxes and bins around the house. This prevents me from focusing and accomplishing things. It also holds my health back. So when this is done I will advance much faster. I am very flexible because currently I am not working due to my health so I am mostly brushing up on my skills and doing practice sessions with my fellow graduates of Angel Communication at Angel’s Teach University. (A wonderful group of people). In all this I rely on God to keep me on my path. He sends the right messages to me at the right time. In this one I am telling myself it is ok to sit back and have fun. I have always felt he need to be constantly on the go and try and work and help others. Unfortunately that poor attitude has held me back. Because my health issues are so many, I believe just the thought of not being able to work these last couple years has made me think I am not worthy and a lost soul. I have felt so guilty and thought I always had to be there for my kids. Well, that finally came to a big realization in August because I got into such bad shape physically it affected me mentally and I ended up hospitalized for a week. We are always told to put our oxygen mask on first then we can help others. Well, I never listened to that advice and it got me into trouble. Take it from me, YOU MUST PUT YOUR OXYGEN MASK ON FIRST!!!! I finally said no to helping others for now so I can become strong again and heal myself. 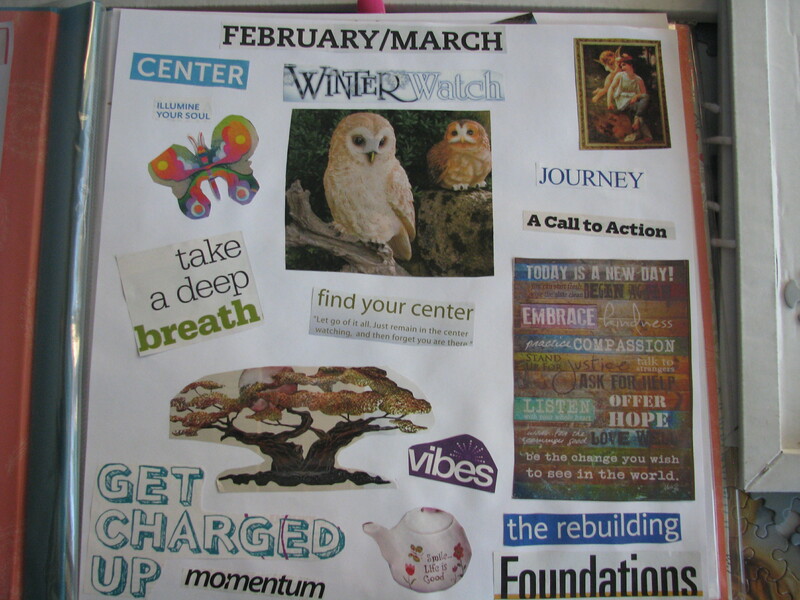 This journal page is telling me it is ok. The puzzle is what I have been doing for the last several months and enjoying the relaxation in it. The owls indicate my animal guide in the respect to learning, the butterfly is transformation, and the angel and fairy are my beliefs and support system. I am beautiful on the inside indicates all the weight I put on and that even though I don’t look it, I AM beautiful. So my truth is that I am capable of anything and I have to learn how to put the negatives behind and put the positives in.